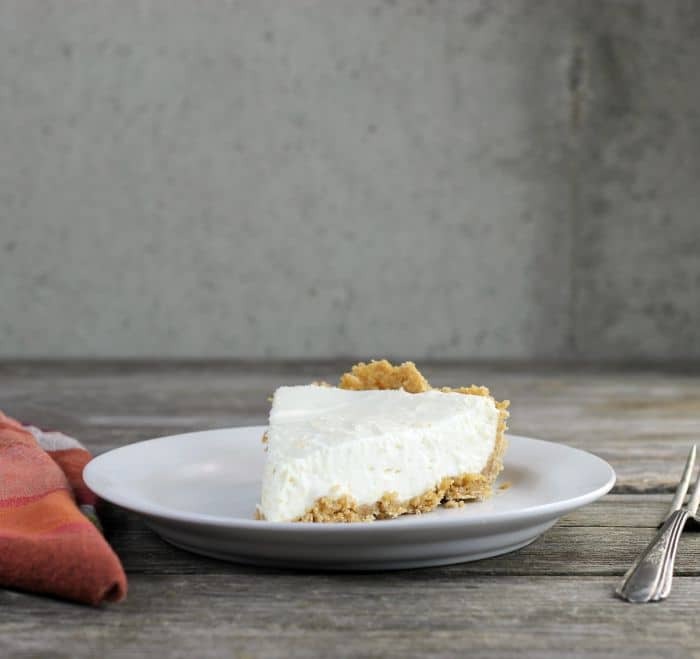 This lemon cream cheese pie comes together quickly and only has five ingredients in the filling. The perfect dessert when it is too hot to turn on the oven. I have made this pie several times over the summer and it has been a hit every time. When Mike’s family was visiting I wanted something simple and something that would not take up a lot of my time. Some of his family came back for a second piece of this pie, which is always a good sign. 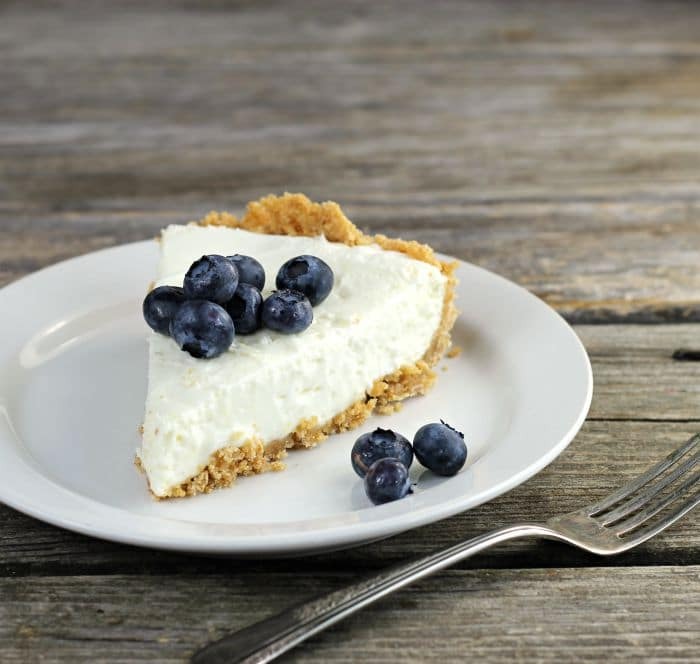 This lemon cream cheese pie tastes amazing all on its own, but I like to top it with fresh fruit and sometimes I add a dollop of sweet whipped cream. 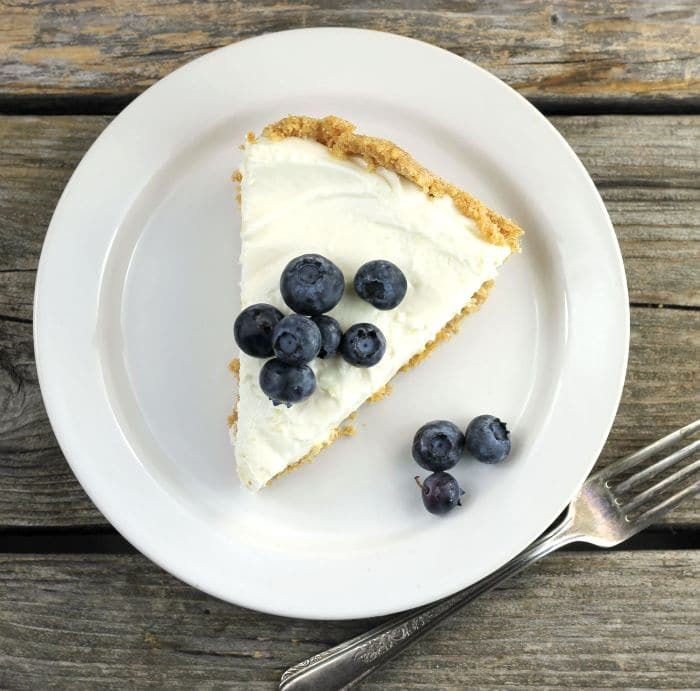 What types of fruits go well with lemon cream cheese pie? I have served it with fresh strawberries and blueberries, but fresh raspberries, blackberries, or cherries would work great. 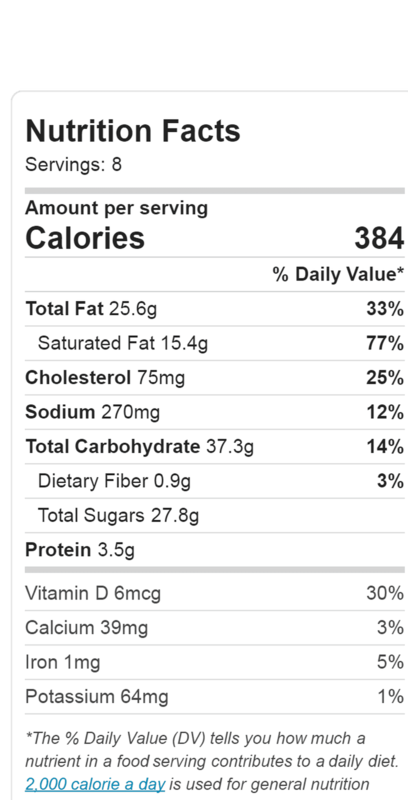 You can always add your favorite fruits. My son Jon asked me what makes the pie so light and creamy. 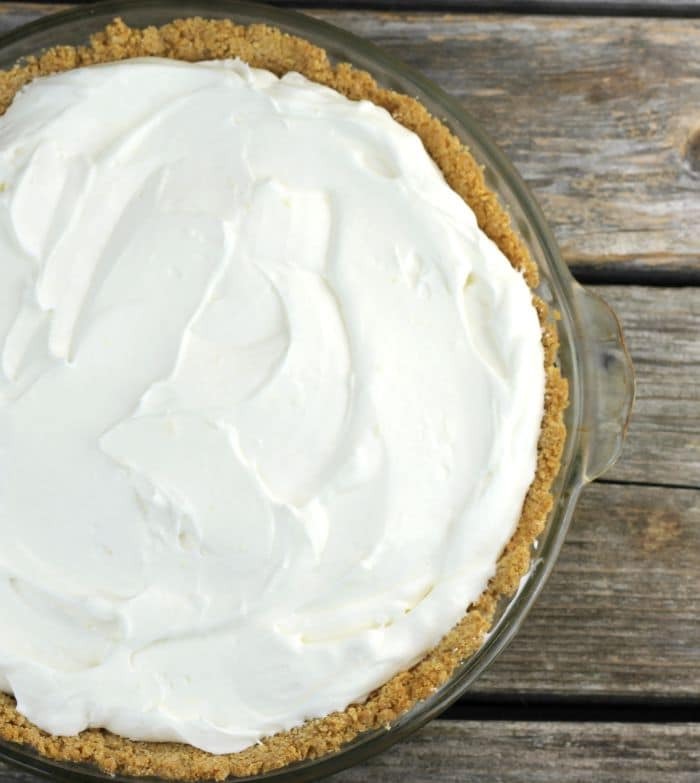 The combination of the cream cheese and the whipped cream make this pie a nice light and creamy texture. To make the graham cracker crust mix together the graham cracker crumbs, sugar, and melted butter until well combined. Press into an 8 or 9-inch pie pan. The crust can be baked at 375 degrees F for 6 to 9 minutes or if you prefer not to bake it place in the refrigerator until ready to fill. If baking the pie crust cool completely before adding the filling. 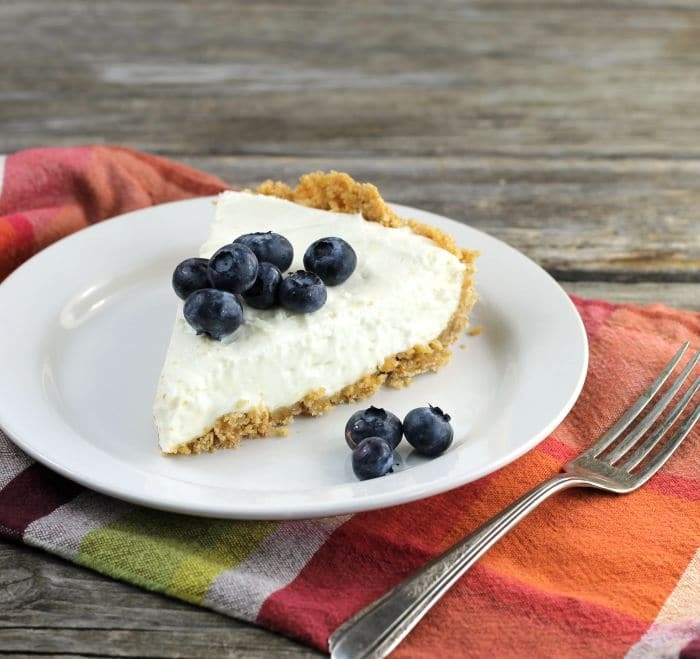 To make the pie: With an electric mixer beat the cream cheese until it fluffy. Add the sugar and lemon zest and beat in. Beat in the lemon Juice. Pour the filling in the prepared graham cracker crust. Refrigerate 6 to 8 hours or overnight before serving. Top with fresh fruit, sweet whipped cream, or eat as it is.